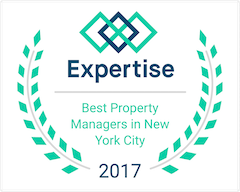 With wide-ranging expertise in New York City real estate and a truly international worldview, veteran broker Marie-Claire Martineau provides a distinguished level of service to clients from all over the globe. Armed with a fluency in six languages, ample market knowledge and fierce negotiation skills, she's devoted helping each client earn maximum value from their home or investment. Rapidly responsive, Marie-Claire makes sure that her clients feel appreciated and listened to. As the go-to choice among A-list celebrities, she demonstrates total discretion and confidentiality, and she's has earned an accomplished reputation for her ability to work seamlessly with high-profile performers as well as Broadway and Hollywood production companies. Born in Le Mans, France, Marie-Claire worked in Japan teaching languages and in Italy in fashion marketing prior to real estate. As co-founder of the Maison International Team at Compass, she combines her international background with Compass' elite technology and marketing reach to exceed expectation for overseas buyers, sellers, investors and relocators like few others can. Marie-Claire resides in Long Island City with her wife and business partner Elaine, their son and their golden retriever.